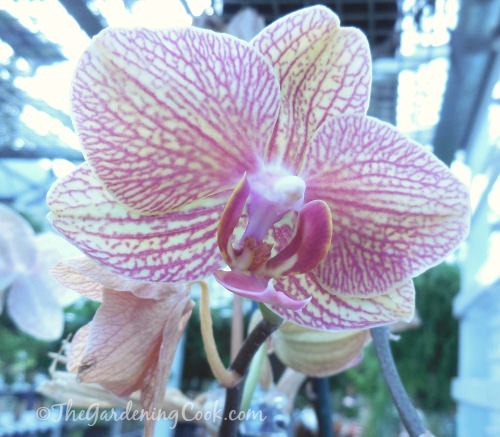 I have often thought that orchids are only plants that you should choose if you have green house conditions. 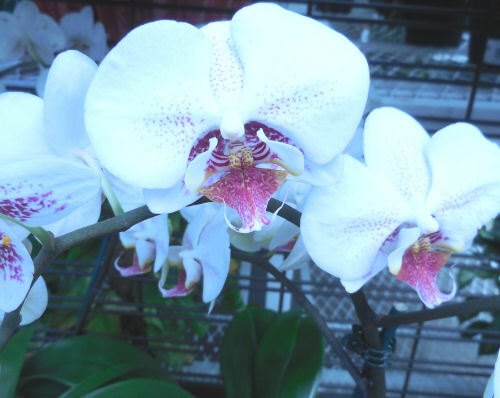 But on a recent trip to several home improvement stores, I have seen scores of beautiful moth orchids that are sitting in normal low light conditions for what seems like weeks on end without losing their condition. They are one of the most popular low light indoor plants grown today. Orchids are just a beautiful flower and so popular. There is even a national day devoted to them, on April 16. 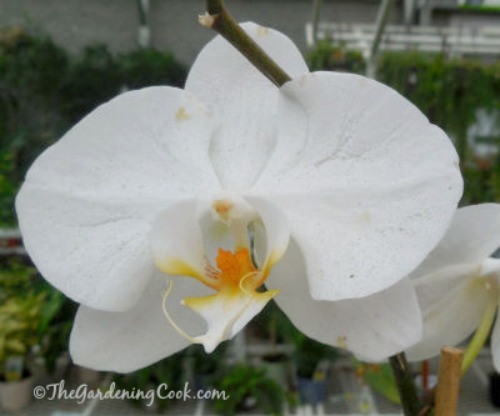 Moth orchids – Phalaenopsis are a great choice for those who are new to growing orchids. In fact, they are often thought of as “beginner orchids” because they will re-bloom under the conditions that most normal people have in their homes. 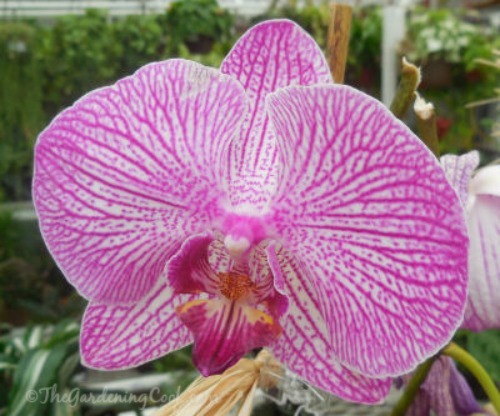 Many people, like myself, are introduced to the growing of orchids by a purchase of a Phalaenopsis moth orchid. If you love to grow flowering houseplants, especially those that flower for months on end, moth orchids are a great choice. Choosing the right orchid: The key to picking a good moth orchid is to choose those with leaves that are firm and green. Be sure the flowers are not damaged and that there are a few unopened buds. Potting Medium: Moth orchids grow best in special orchid potting medium which traditionally has chunks of pine bark, clay aggregate pellets, charcoal, perlite, sphagnum moss, and even Styrofoam. This will help it to drain well when you water. Light: The do not require high light levels, and can grow in conditions similar to that for growing African violets, which are also fairly easy to keep in normal home conditions. They will thrive in a east window, or a shaded southerly or westerly exposure. The most important thing is that do not like direct sunlight and will scorch easily if exposed to too much sunlight. Another good tip: The larger the leaves, the less light an orchid needs. 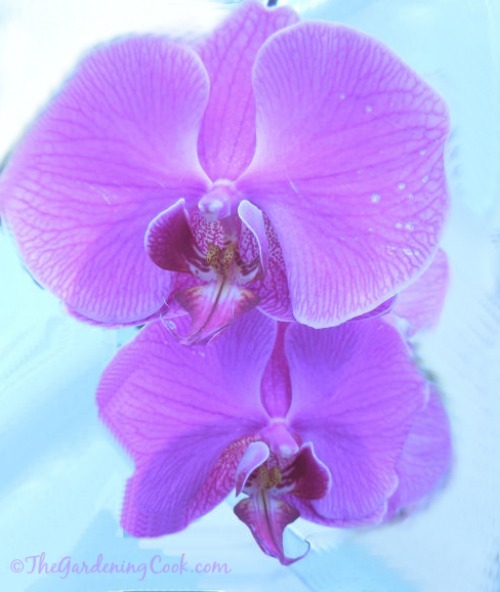 Temperature: Orchids are tropical plants and grow best in a temperature range of 65 to 80ºF. Watering: The most important thing to be careful of in the care of moth orchids is that they are easily killed by over-watering, and the same goes for under-watering. When the orchid is actively growing, water the plant whenever its exposed roots turn silvery white, about once a week. The potting media should be kept slightly damp. Once it starts flowering, you can reduce the watering rate to every other week. I place mine in the sink, water thoroughly and then let it drain and then put it back into it’s normal place. This allows excess water to drain away. Habitat: Phalaenopsis are epiphytes (a plant that grows non-parasitically upon another plant) and they can be found growing on trees in a constantly moist environment. The plant is native to Southeast Asia and can be found growing from The Himalayan mountains to northern Australia. Flowers: Moth orchids have very long flower spikes and look very graceful when potted. They add elegance to a home and brighten up any spot where you place them. The plants only bloom once or twice a year but the flowers can often last for two to three months. Bloom time is normally late winter or early spring. When the plant has finished flowering, cut off the spent flower spike at the base of the plant or at the point where the stalk has dried out. Getting them to rebloom can be tricky but it’s worth trying. 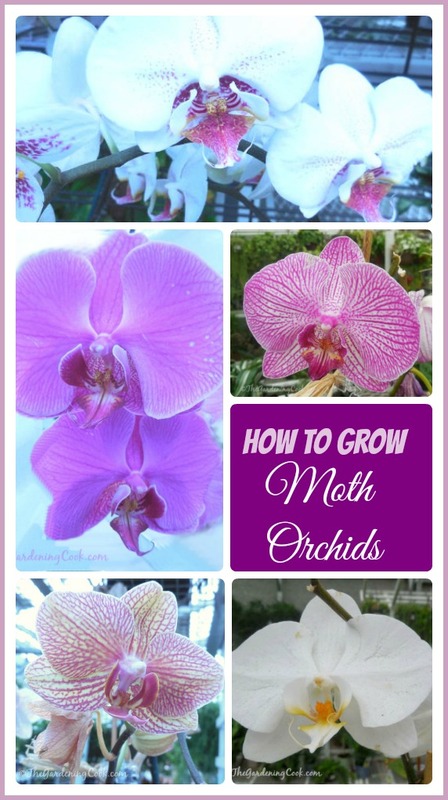 In short, moth orchids are popular among both beginners and experienced orchid growers alike. Their beautiful and long-lasting flowers put phalaenopsis at the top of everyone’s recommendation list for beginners’ orchids. Why not have a go at growing one yourself? You may be surprised to find that you have discovered a new indoor plant love!